As wonderful as plugins can be, it’s wise to use patience and discretion when choosing which ones you will use and which ones you will pass over or replace. In this episode, I will present you with a simple decision tree, in the form of a few short questions, to help you decide whether you should install that plugin … or move on. Welcome back to another episode of Sites. So glad to have you here with me. Last week, we discussed how creativity can kill a good website design. As I mentioned in that episode, it seems kind of ironic that creativity can have a negative impact on your web design because creativity is generally good thing. But as we all know from other walks of life, too much of a good thing can often turn into something not so good. The same is true for plugins. Now let me be clear: like creativity, plugins are generally a GOOD thing. In fact, plugins are one of the best elements of running a WordPress site. Solid, well-coded plugins extend the power and capability of WordPress far beyond what it can do out of the box. For the vast majority of us who use WordPress, plugins aren’t just a nice option to have — they actually provide essential functionality that we wouldn’t be able to run our websites without. Well, beneath the sunshine and daffodils, plugins do have a dark side. Sometimes they don’t play nicely with other plugins or your theme. They can introduce security holes into your website. They can get out of date and stop working with newer versions of WordPress. Plugins that were once cutting edge can become obsolete. Worst of all, they can be abandoned by their developers. I don’t say all of this to scare you. But I do bring this up to open your eyes to the reality of hosting plugins on your WordPress website. The WordPress plugin repository is a fantastical place. It’s like Willy Wonka’s Chocolate Factory for WordPress owners. But you can’t just gobble up everything in sight. If you do, your website will get bloated, which can lead to performance degradation on the front end for visitors and on the back end when you’re in your dashboard. Plus, you will be committing yourself to all kinds of extra time and worry when it comes to maintenance and updates. This is one reason why hosting your site with a provider who offers recommended plugins is so nice. 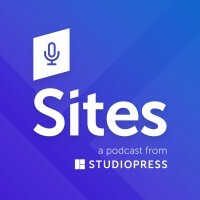 For example, StudioPress Sites has recommended plugins for a bunch of different features: building landing pages, running affiliate programs, managing membership communities, etc. The plugins have all been vetted to ensure they work well in the Sites hosting environment, and they are accessible via one-click install from any Sites website dashboard. It’s peace of mind and convenience, to help you get the essential features you need. But if your host doesn’t offer recommended plugins, or you need a feature that isn’t among the plugins recommended, then you’re going to need to install one on your own. And the bottom line is that as wonderful as plugins can be, it’s wise to use patience and discretion, and even consider a minimalist’s mentality when choosing which plugins you will use and which ones you will pass over or replace. In this episode, I will present you with a simple decision tree, in the form of a few short questions, to help you decide whether you should install that plugin or move on, so that you can experience the benefits of plugins while avoiding the potential catastrophes they can bring to your site. 1. Are you willing and able to keep your plugins updated? If your answer to this question is no, then just stop right now. You have to keep your plugins updated. It’s the only way to keep your site safe and functioning. WordPress is always being updated, and new security threats are always emerging. This means that plugin developers have to be constantly updating their plugins to make them up-to-date and compatible with WordPress, as well as secure as possible from the ever-present risk of hacking. If you’re not going to keep your eyes peeled and stay vigilant, so that when plugin alert notices happen you take action, then you’re not a responsible enough WordPress owner to use plugins. I’m sorry — that may seem harsh, but it’s true. This can be a problem for your audience members who visit your site, for customers who make purchases on your site, or even for yourself when it comes to managing your site. There are plugins of all shapes and sizes that do endless multitudes of things. But notice the wording of the question. It’s very specific. It’s not: what feature would you like to add? Or, what element would be cool to have on your website? Or, what is my competitor doing so I can match them? For example, one of the first plugins I often put on my WordPress sites is a Google Analytics plugin. Why do I do this via plugin instead of just pasting the Analytics code into my theme file? Well, because I know I’m likely to change my theme in the future. And if I do that, and then forget to add the Analytics code to the new theme, then I’ll lose data. I don’t want that to happen. That’s a problem. Adding a plugin helps me solve that problem. What problem are you trying to solve that a plugin can be the answer for? If you can’t identify the problem, then you shouldn’t even start trying to identify the plugin. 3. Are there plugin options that actually solve your problem? Note that I said options, with an s. Not just option. It’s easy to get into a hurry when you’re building your website. You don’t want to spend time on plugins. You want to spend time on your content, and building connections with your audience. So it can be tempting to find the first plugin that purports to offer a solution to your problem, install it, and move on. This is an easy way to make a less than optimal choice. There can be multiple solutions for the same problem. And they may all work adequately, but one may be more optimal for your particular situation and website than another. Research the different options, judge the features against what you need for your site, and then make an informed decision rather than a default one — which is what you’d be doing if you just pick the first plugin that pops up. Of course, your research could uncover that no plugins solve your problem. This is why it’s so important to be clear about the problem you’re trying to solve. Because while it might be disappointing to not find a quick fix with a plugin, it’s much better than having a vague idea of the problem and then being tempted to install any old plugin that you think might solve it. No. It’s better to be clear about what you’re looking for, so then you can be clear about whether you find it or not. And if you don’t, good. At least you know. And if the problem is important enough, you still have options. You can hire a developer to build you a custom solution — or you can go back to the drawing board and reconsider whether the problem is really that important, or if there is another way to work toward a solution for it. Remember: sometimes constraints are blessings in disguise. Okay, so you’ve identified the problem you’re trying to solve, and you have identified plugins that solve this problem. What next? 4. Are any of the plugin options trustworthy? What do I mean when I say trustworthy? I mean can you count on it. How do you know? Is there any social proof suggesting many different site owners have used this plugin successfully? Does this plugin developer show a track record of success? Is the plugin updated often? If you’re looking at a plugin, but the number of sites it’s installed on is in the hundreds, not the hundreds of thousands, or it’s the first plugin of a developer you don’t know, or it hasn’t been updated in the past few months … I’d run in the other direction. Why risk it? Chances are there are other options, or it will be worth paying for something custom. The risk just isn’t worth the potential reward if you’re going to be living in constant fear of a plugin breaking or becoming obsolete. And remember: the problem you’re trying to solve with this plugin should be an important one. So if it could simply break or stop working without your site being impacted, my question is why are you even installing it in the first place? 5. Does installing and activating the plugin break anything? This is a big step people often forget. I know I have in the past. Usually it doesn’t come back to bite me, but every now and then it does. Just because you download a plugin, install it, activate it, and adjust all of the settings does not necessarily mean everything is working well. Things can go wrong. Plugins can interact weirdly with different versions of WordPress or different themes. Sometimes they place code or text in places you didn’t anticipate. To be safe, just expect the unexpected … and then make sure that you take a quick tour of your site after installing any plugins. Check the home page, click around to some content pages, scroll down to your footer, etc. Everything look okay? Good. It’s always smart to check. Don’t be lulled into a false sense of security. Even a 5-star plugin might have an issue with the particular configuration of YOUR website. So just do your due diligence. Are you willing and able to keep your plugins updated? Are there plugin options that actually solve your problem? Are any of the plugin options trustworthy? Does installing and activating the plugin break anything on your site? Now stick around. It’s time for this week’s hyper-specific call to action. For this week’s call to action, I want you to review your plugins. All of them. Go down the list and identify the problem that each one solves. Every time you can define a specific problem that it solves, great! Keep that plugin. But if you get to a plugin that doesn’t solve a specific problem, or upon further review the problem is actually not that important, then consider removing it. The upside is one less plugin to have to worry about an update, plus one less potential area of exploit for hackers, and a little bit less bloat on your website. Can you get rid of a plugin or two? My guess is that if you’ve never done an exercise like this, you probably can. Okay — coming next week, we move on from technology back to strategy. And we discuss one of my all-time favorite and most oft-recommended articles ever written on Copyblogger. It was written by Chris Garrett. The title: How to Decide Which Content to Sell and What to Give Away for Free. That’s next week on Sites.